Among only a handful of fourth-years runners in the women’s distance program…has competed in 10 cross country meets over the course of her career, including the ACC Championships as a freshman…did not compete during the 2018 outdoor season. Cross Country: Saw action in three meets…opened up at Big Bend Invitational with 5k 19:22.1…pared home course time to 19:20.4 at the FSU Invitational…also competed at the Crimson Classic, running 23:48.7 for 6k. Indoor & Outdoor: Did not compete. 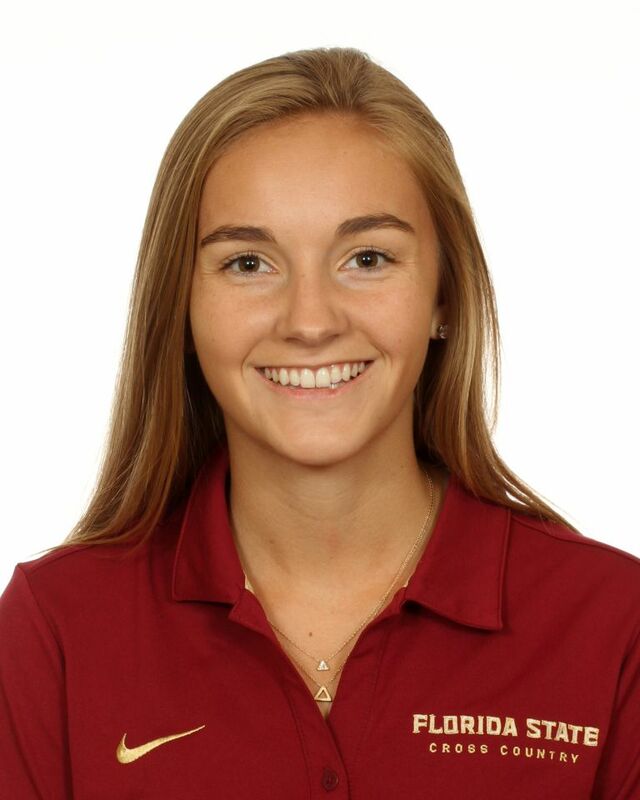 Cross Country: Raced three times for the Noles last fall with her top performance coming at the FSU Invitational…placed 21st at home in a 5k cross country best 19:03.2…also competed at the Mountain Dew Invitational and the Crimson Classic. Indoors: Ran a pair of 5000-meter races in the first indoor action of her collegiate career…opened up with a 19:06.44 at the Clemson Invitational to finish 10th. Outdoors: Lined up three times in the 5000 on the track in the spring, capped by a huge PB (18:23.60) at the Seminole Twilight. Cross Country: Elevated from the Garnet group for the trip to the Virginia Tech Alumni Invitational where she placed 30th in the first 6k race of her career…secured her spot in the lineup for the ACC Championships with a strong showing at the Crimson Classic (18:58). Indoor: Did not compete. Outdoor: Active early in the season with back-to-back lifetime-bests in the 5000 at the USF Bulls Invitational (19:01.11) and a week later at the FSU Relays (18:51.14). Outstanding student who plans to major in biomedical engineering…graduate of Sarasota Riverview with an International Baccalaureate diploma and as an AP Scholar…a three-year member of the National Honor Society…Special Olympics and Habitat for Humanity volunteer…four-time state championship meet qualifier in cross country…born Oct. 10, 1996.